The intersection between physical movement & leadership, rooted in purposeful play & play that probes purpose. Weaving together physical movement and self leadership, join Dr. Carla Cupido and Chloe Gow-Jarrett in a 2-hour workshop that explores the impact of your reactive thoughts on your movement practice and invites you into expanding this awareness into the rest of your life. 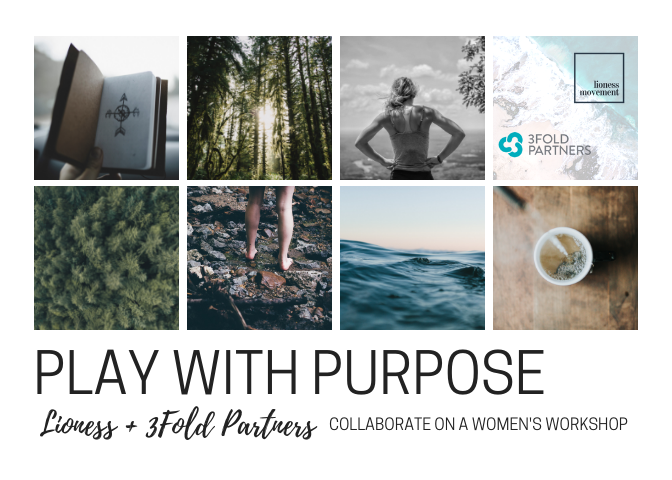 This workshop is an opportunity for you to experience the partnership of physical and leadership development as facilitated by Chloe and Carla so that you may consider joining us at our Play with Purpose Retreat on Bowen Island in April, 2019. Expect to move from complete stillness to ‘sweatiness’. Wear clothes to workout in and bring layers for our discussion-based components. If you choose to join us for our retreat following this workshop, your workshop fee will be deducted from your retreat payment. *All levels of self-study welcome. Questions for us? Fire away.